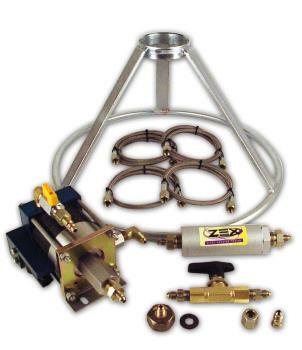 The ZEX Nitrous Refill Station allows you to accurately and safely fill all kinds of nitrous bottles. It has an incredibly quiet and efficient pump and includes all the necessary high-pressure lines, fittings, adapters, and filters to properly set-up a refill station. The ZEX Nitrous Refill Station ensures that the fun won’t stop when the bottle is empty.